Australian anti-counterfeiting technology developer YPB Group Ltd (ASX:YPB) has signed two agreements with two of China’s largest bottle closure and ink manufacturers to protect their products with its invisible tracer technology. The deal with Hicap Closures Ltd. (Hicap) will see YPB supply its invisible anti-counterfeit tracer products and T1 scanner system over an exclusive four-year period, projected to bring in AUD$10M in revenue. YPB has also signed a five-year agreement with Shenzen Shensaier, a Chinese company that supplies high end inks to tobacco and wine brands. The agreement could be worth AUD$16M based on projected revenues. Counterfeit goods are a global problem estimated to cost over $1.7 trillion dollars in lost revenue for manufacturers and retailers. This has led to the rise of an anti-counterfeiting industry that aims to put a stop the production, sale and distribution of fake products. YPB is aiming to become a market leader in providing technological solutions. YPB has developed invisible tracers made from rare earth materials that can be attached to any product or packaging to serve as a signal that identifies it as the genuine article. 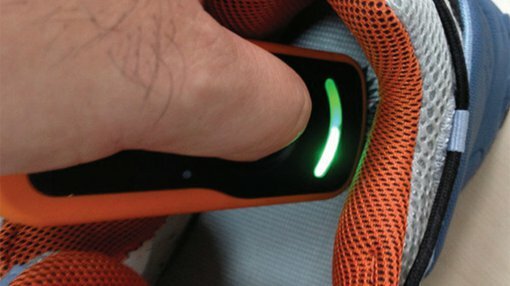 YPB has also developed a range of hand held scanners that can detect the tracers, and is also building a mobile app called Brand Reporter that puts the power to detect invisible tracers in the hands of consumers. Hicap makes up to two billion bottle closures every year that are sold around the world, including to the Australian wine group Peter Lehman, as well as food and pharmaceutical clients. However, counterfeit bottles and products are a growing problem, and to blunt their effect Hicap will include YPB’s invisible tracer products into bottle closures it manufacturers – to protect consumers and company reputations. Hicap will also take delivery of YPB’s T1 scanners, the first generation of the product, which can be used to detect the tracers within the closures. The agreement came after Hicap conducted a trial period of YPB’s anti-counterfeiting technologies in which they were tested in the factory and the field. The tracers and scanners will now be integrated with Hicap’s products manufactured by four subsidiary companies across China. Meanwhile, Shenzen Shensaier will incorporate YPB’s invisible tracers into the high-end inks it supplies to tobacco and wine manufacturers in China. YPB’s Executive Chairman and CEO John Houston says the deals place the company firmly at the centre of China’s growing anti-counterfeiting industry. “The projected growth and infrastructure investment being made by Hicap Closures combined with their market position and their vision to adopt YPB’s technology offers YPB access to this key high volume industry,” he says.